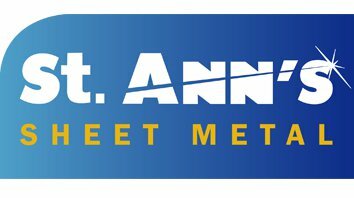 How long have you been with Saint Ann’s Sheet Metal ? I am in my 9th year now. There was a job advertised. I rang Terry up and said I can work that CNC punching machine like the back of my hand. After an interview I was taken on and have not looked back since. Almost as soon as I left school. I was offered an apprenticeship with a company that was working with general industrial machinery. From there I continued through the industry as it was changing. I was really just doing all of the work that most apprentices do on the shop floor. I was always either sweeping up or making tea at first. After 4 years at college I got my qualifications. Unfortunately, like a lot of engineering companies especially back in the mid to late eighties, went to the wall. I then came across a company doing laser cutting. I was taken on as a labourer at first and after a time I was able to prove I had more potential. I was then introduced to the CNC machines. I was taught by a few great guys and ended up running the nightshift after around 5 years with the company. They had 3 or 4 punch presses. I used to programme and set the machines and then they would have agency staff in to do the general labouring side of it. What would you say have been the biggest projects for you? There are some pretty big jobs. We don’t all get to see the big jobs first hand as we all work different machines. 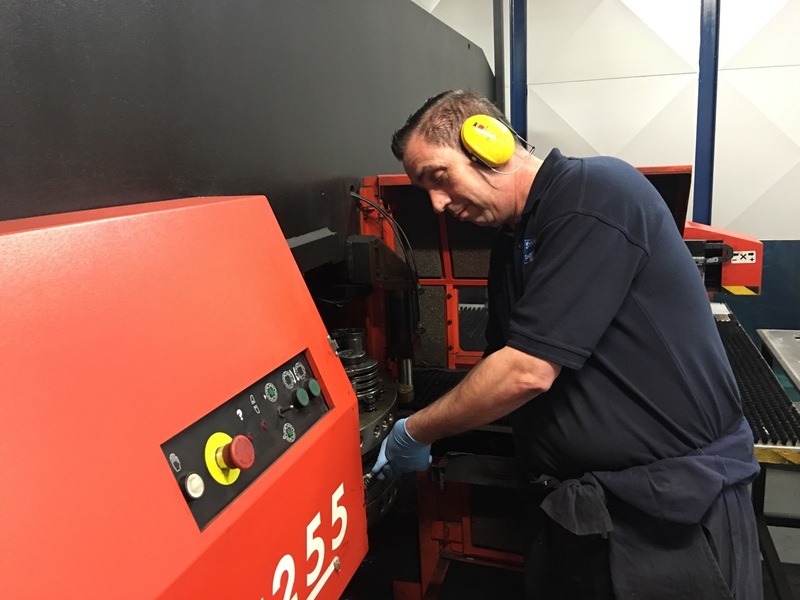 The good thing about Saint Ann’s is that although you might be a press break operator or a CNC punching setter, you do opportunities to move around the workplace and develop your skills. We all sort of move from position to position or job to job, and help each other out. I have not seen this in other companies, it is all about team work. We all pull in together and muck in, its not all cnc punching. At the moment I think Dave’s pulling out all the stops. We’ve got the evening shift going now as well. Dave is trying to make it more high-tech all of time. We have also just installed the new nitrogen system. Cheaper nitrogen helps us compete by making the jobs more cost effective for customers when we are laser cutting, when cnc punching is not as efficient. There’s quite a lot of work for punch and profiling, but for myself it would be nice to try programming more in future. I’ve learnt a lot from Andy who has taught me about the software. That’s the good thing about this place is you know there is opportunities available to you.